Watch Video Here! WAC Members at AirVenture 2015. Oshkosh is a great place to conduct business–and have a great time doing it, so it’s no wonder most of Wichita’s aviation companies find an excuse to be there, either as exhibitors or attendees. For those who haven’t had the opportunity to attend or didn’t get to go this year, Wichita Aero Club Board Member Visual Media Group took some time out of their very busy schedule at AirVenture 2015 to vista a few of the other Kansas companies who were also in attendance. They’re also members of the Wichita Aero Club, and we’re extremely proud of our member companies’ presence at the world’s largest aviation gathering. We hope you enjoy this brief look at AirVenture 2015 and will make plans to join us at next year’s show! 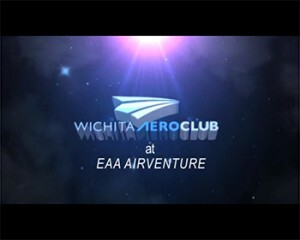 Wichita Aero Club Oshkosh 2015 from Dave Franson on Vimeo.